iFi gets a new look. iFi Audio badly needed a rebrand. The company has a reputation for delivering superb and focused audio gear, but in the past, they've done so with all the panache and pizzazz of a statistics symposium. 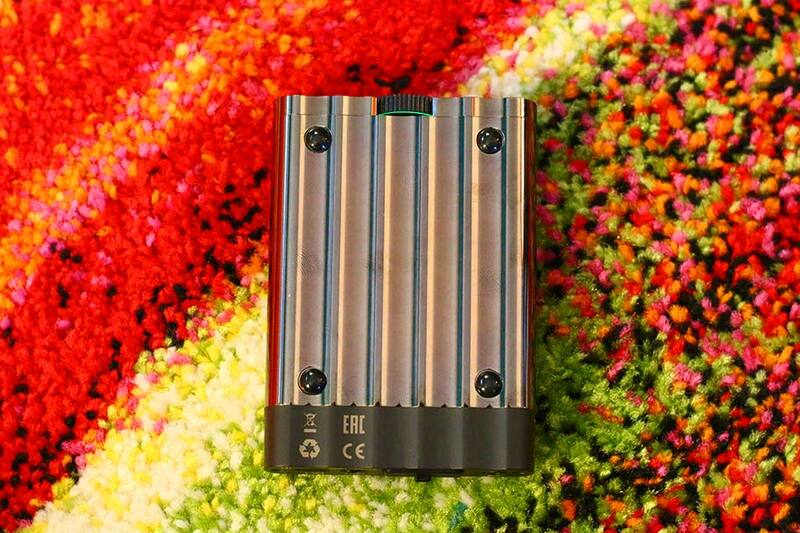 They recently reworked their identity, and the xDSD - a new, portable amp/DAC combo - is a big step forward for them. 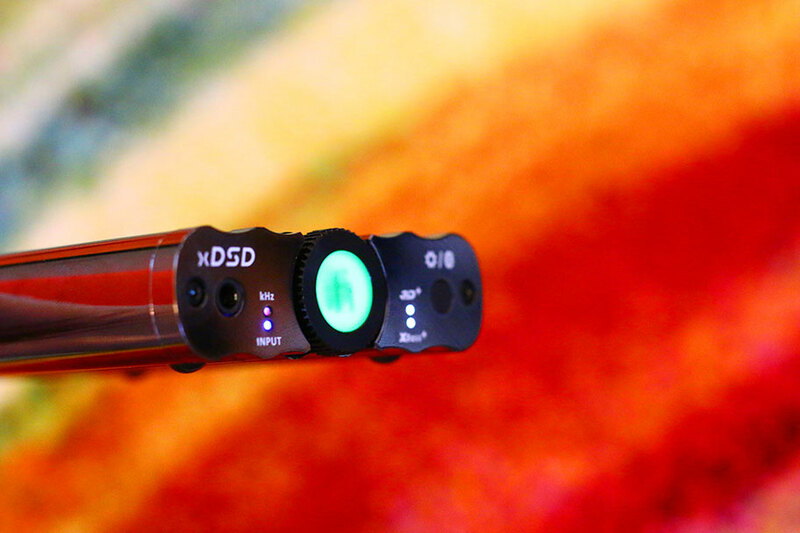 In this review, we break down the xDSD's sound, design, packaging and accessories, specs and more. 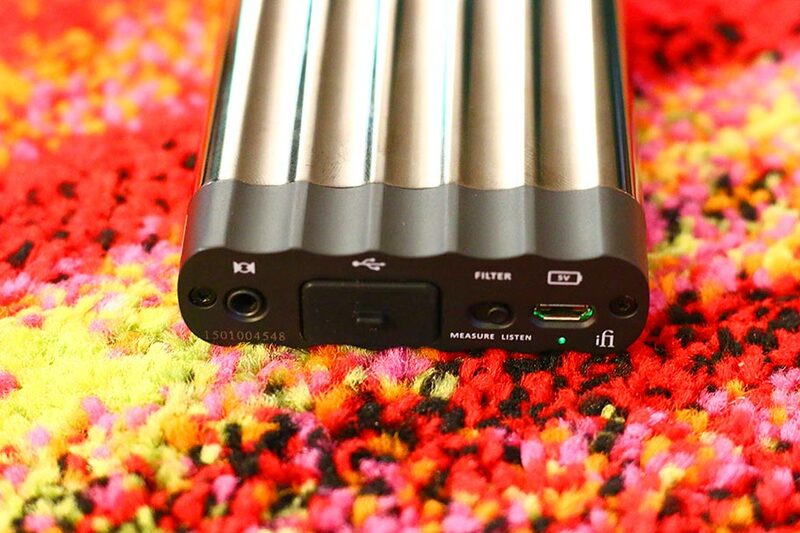 To see how it stacks up, check out our list of the best DACs. The iFi Audio xDSD takes everything that the company knows about converting and amplifying audio, and puts it into one very slick package. iFi (it's pronounced Eye-Fi, by the way) have always put a huge emphasis on accurate, balanced sound, and in the $399 xDSD, they've really raised the bar for themselves. We'd go so far as to say that for under $500, we don't think there's a better way to improve your sound. The overall audio presentation is just breathtaking. Everything you hear is utterly transparent. It's not just that you can hear everything that is going on in the song: it's that it's presented in such a beautiful, natural light. Every song we put through the xDSD felt perfect, even ones played as low-quality file types. There was a real sense of natural, lifelike presentation. For comparison, the $350 FiiO Q5 (full review here) does a similar job – but the overall effect is nowhere near as polished. If you've been using your phone to listen to music up to this point, you are about to experience something extremely cool. We were also impressed with just how wide the soundstage felt. It really helped give us a sense of where things stood in any given mix, and this was particularly impressive in busy genres, like metal. There, the xDSD took songs that had the potential to be muddy and confused, and spread their elements out perfectly. In this, it is more than equal of many leading DACs (Digital-to-Analog Converters), both portable- and desktop-based. 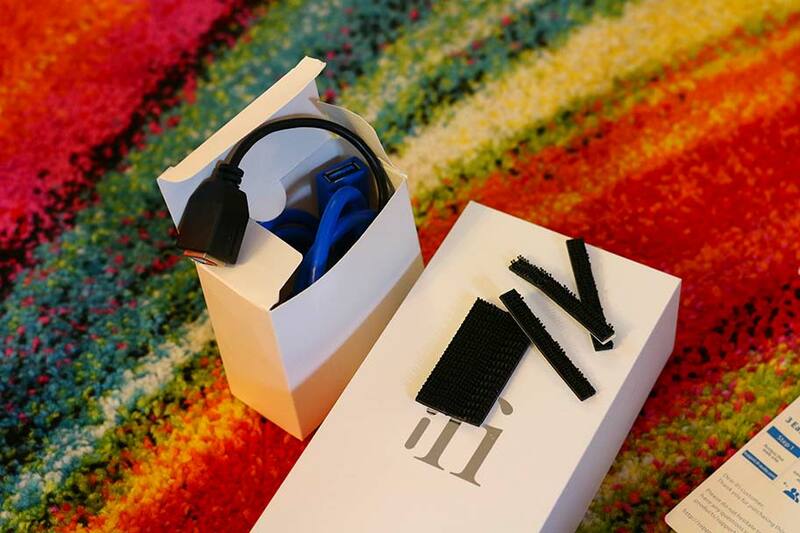 We've had plenty of experience with iFi's products before – we'll do some more direct comparison below – but we've never been quite as impressed as this. For $399, you get sound that is much better than it has any right to be. We'll go into the different wired connections that the xDSD has available below, but this is primarily a wireless product, designed to be used while you're on-the-go - at least, that's how we used it. The aptX Bluetooth connection – you can read a full explanation of what this is here – works flawlessly. Pairing is the work of moments, and even when we were a significant distance from our phone, we didn't have an issue until we got beyond about 30 feet. Even through concrete walls, we didn't encounter any problems. As you might expect from the name, the xDSD can handle DSD audio files – here's an explanation if you don't know what that means. It takes up to DSD512, and as you can imagine, performs brilliantly. What you might not know is that - be warned, acronyms coming - outside of DSD and PCM files up to 768kHz, the xDSD also takes MQA files. MQA stands for Master Quality Authenticated, and is a file format used by the premium streaming service Tidal. More and more products are incorporating this, and it's great to see that iFi have, too. We never had any issues in getting it to work as it should, and a handy light on the front even let us know which audio format we were listening in. We do wish that the colors iFi used were a little bit more intuitive – we still have to refer to the manual to identify them, and it makes us feel stupid every time. But on the whole, it works well. One of the new pieces of technology here is called Cyberdrive. It's designed to replace the old IEMatch tech found in the $200 nano iDSD, and is a new type of headphone amplifier circuit design to reduce noise. While it does its job for the most part, we also encountered some scenarios where it fell short. If we happened to use sensitive in-ear headphones, like the Campfire Audio Andromeda (found in our list of the best earbuds of this year), we detected a very definite hiss. This was annoying, especially given how precise the rest of the sound quality was. While it wasn't a major issue, we did find ourselves wishing for the old IEMatch tech, which performed extremely well. However, if you don't have especially sensitive headphones - anything with a sensitivity under about 100dB – then you should be fine. 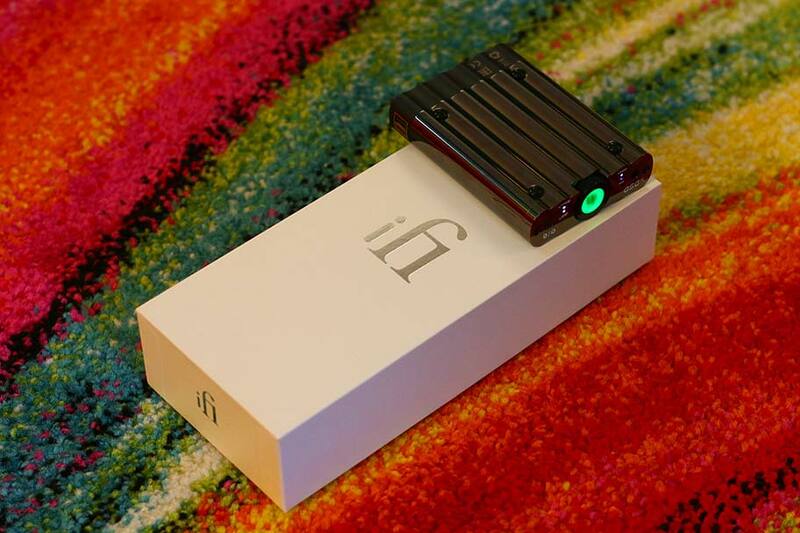 The old iFi products had a very defined aesthetic. To be blunt, they looked like coffins. Ones ripped directly from a sci-fi movie, where a slaughtered crewmember is being ejected out the airlock, but still coffins. Despite the distinct shape, they didn't stack – we elaborated on this when we broke down their old iDAC2 (full review here). 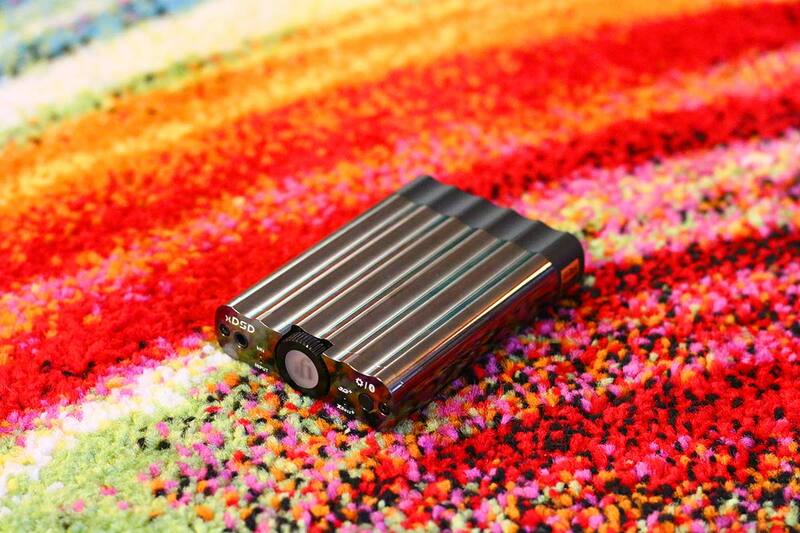 It's an especially large problem, because the xDSD is designed to be fully portable. It's very light, at under 5oz. That's astounding, especially considering that competing portable DACs, like the USB-friendly $199 AudioQuest DragonFly Red, are only a little bit lighter; the DragonFly is 3.5oz. It's very easy to slip the xDSD into a pocket, and although it comes with a sweet carry case, it's definitely an issue that the metal picks up so many fingerprints. That being said, the build quality is exceptionally robust – and if you can keep it clean of grease, it looks superb. In the past, iFi's controls have been clunky and frustrating to use. While there have been some definite improvements here, there are also some significant missteps – and none more significant than the analog volume wheel. 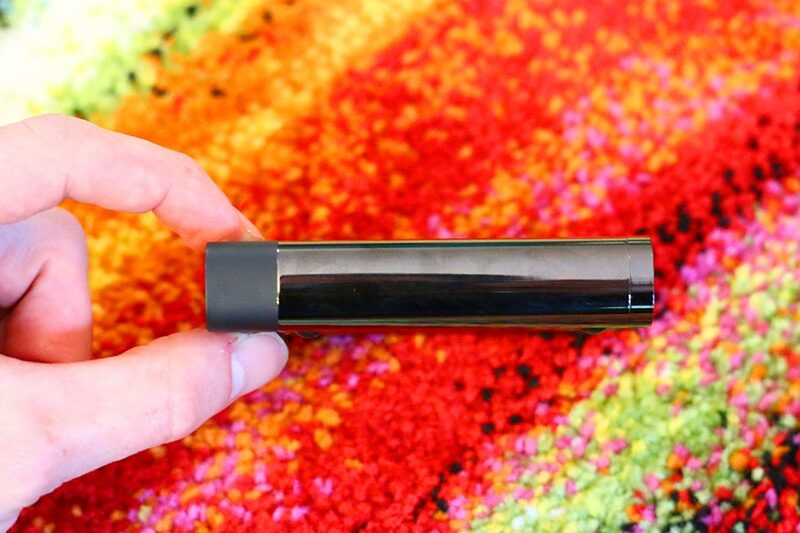 On the surface, this is a neat idea: a focal point for the design, which not only turns the unit on, but changes color depending on how loud the volume is, giving you instant visual feedback. The problem is that it feels cheap. Really cheap. The wheel on our review unit audibly squeaked when it was turned, and the plastic it was made from felt tacky as hell. It's a problem that we've encountered in far more expensive DACs, like the $2,695 Chord Hugo 2 (full review here). That DAC had buttons that felt like they came from a model that cost ten times less. All the same, it was frustrating to see such excellent design let down by such a cheap volume wheel. It's a good thing that the rest of the controls function well. They are reasonably limited – you get a button to control the 3D and XBass, and a switch to control the redundant Measure/Listen filters. We aren't entirely sure why one filter is a button while the other is a switch, but at least they didn't get in the way. And outside of Bluetooth, iFi give you a good range of inputs to play with, including S/PDIF for digital sources. What really impressed us was how the USB ports were split between data and charging, meaning that the xDSD didn't drain our phone battery while it was in operation. That's pretty solid thinking, even if the rubber cover that fits over the USB port feels like it's only there because there wasn't a better solution. In case you're keeping track, that's three different materials used on the case alone. If iFi really want to shake off their ultra-nerdy image, they'll need to spend a little bit of money fine-tuning the design of their products. Given the level of technology on offer here, we got very acceptable battery life out of the xDSD. The company advertises "up to" 10 hours – we didn't quite get that far, achieving around eight and a half at 75% volume. That's respectable; it may not quite take you across the Atlantic, but it will more than do you for shorter flights. 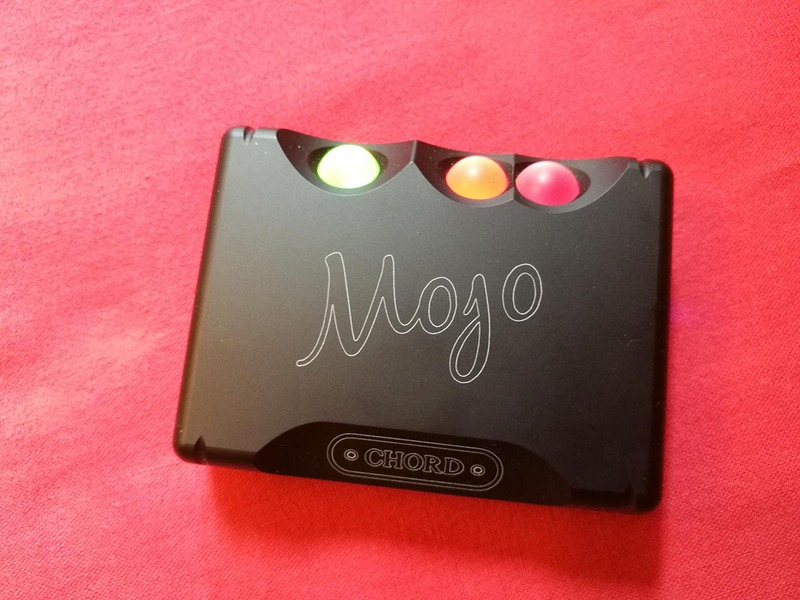 For comparison, the more-expensive Chord Mojo ($539 to the xDSD's $399) does reach ten hours - good, but you're not getting a huge drop in quality for the price drop with the xDSD. 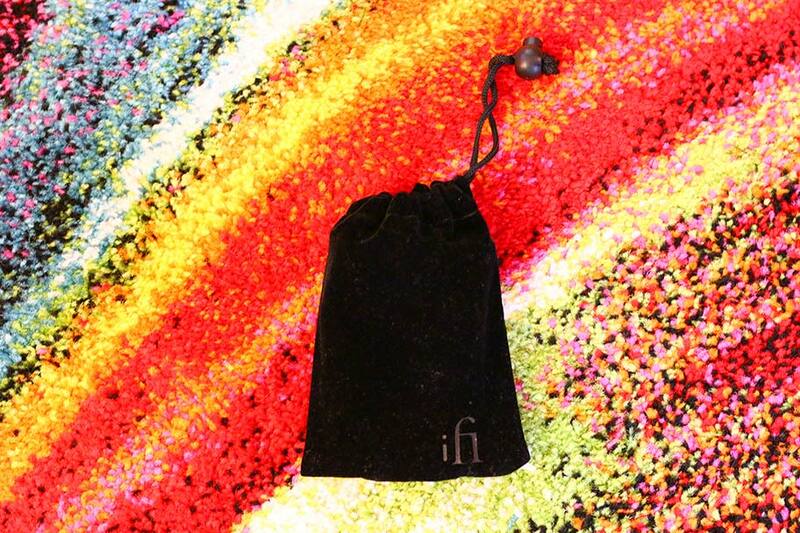 The main accessory here is the velvet drawstring pouch, which we found ourselves surprisingly charmed by. It feels like a nicely analog touch for what is clearly a digital machine, and it actually did a fair job in keeping fingerprints off the metal surface. In addition, you get a series of stick-on velcro tabs, designed to anchor the xDSD to a surface. 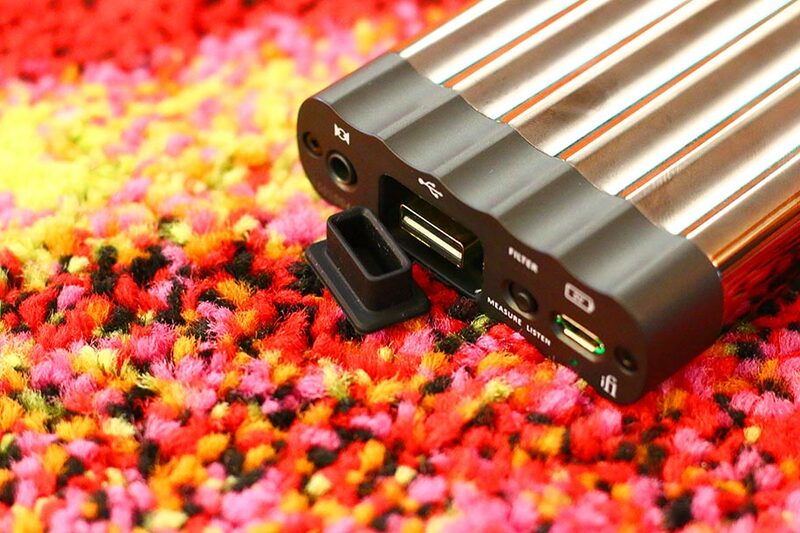 The xDSD also comes with a couple of additional cables, including a USB-A cable, and an optical adaptor. While we didn't like how thick and clunky they were – an aesthetic that didn't feel in keeping with the design of the xDSD – they performed well enough. We wish the same could be said of the manual, the design of which hasn't changed in years. Could someone tell iFi that the weird flip-open cardboard thing they have going on just doesn't work? Has never worked? Never will? In fact, how's this for an idea – be like the manufacturers of many high-end headphones, and just create a well-designed digital manual that formats nicely on mobile. Would that be too much to ask? It also really helps with the overall presentation with the box the xDSD comes in feels suitably slick. With its slide off lid and helpful compartments, it genuinely feels like it houses a product that costs $399. We're big on overall experience here at TMS, and this is one area that iFi gets things right. Having the xDSD actually ship in its velvet carry case was a very good idea. 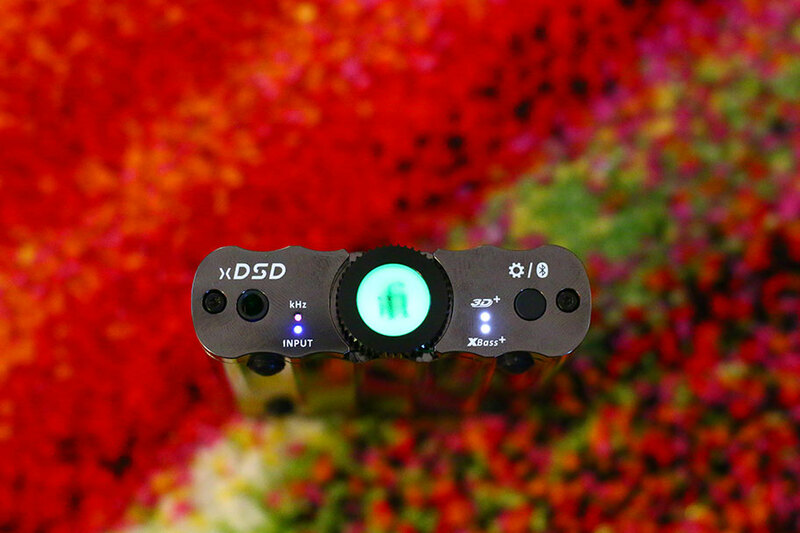 The iFi Audio xDSD has absolutely superb sound quality, with a rich, natural presentation and excellent soundstage. 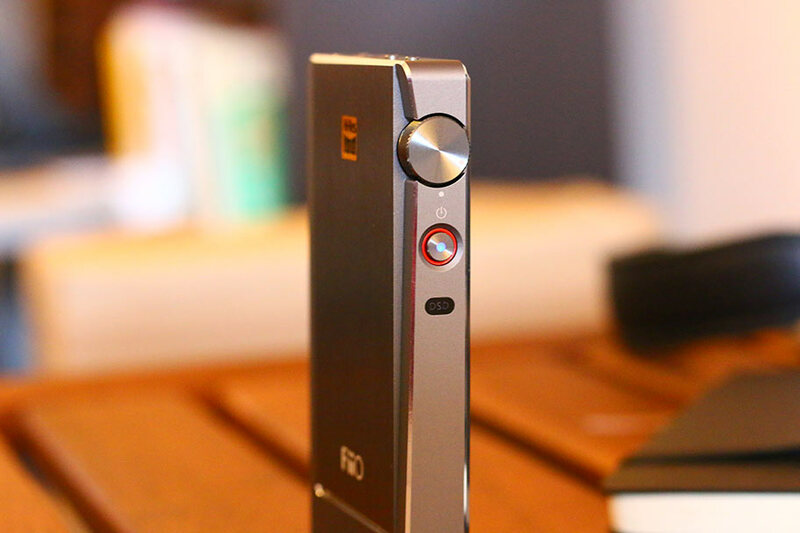 The xDSD is highly portable, and makes listening to audio on-the-go a dream. 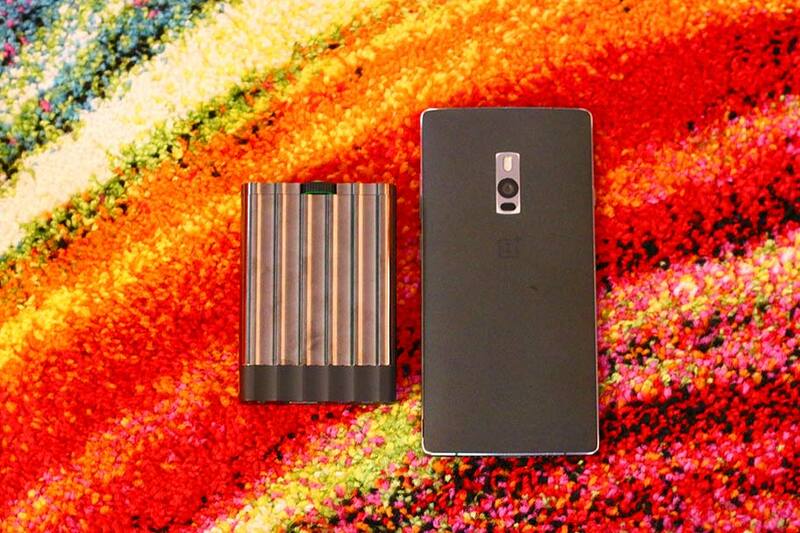 It offers a wide range of audio formats, and is perfect if you listen to music on Tidal. The metal frame of the xDSD looks great, but picks up fingerprints like you can't believe. The volume wheel feels cheap, out of step with the price of the product. The company still hasn't learned the fine points of design, and there are plenty of legacy features here that feel dated. Better than both these options, in terms of sound quality, is the $539 Chord Mojo. It's getting a little bit old now, but is still a landmark portable amp/DAC with terrific sound quality. This tiny little DAC has charming design, and cleverly, Chord has extended its life with the addition of the Poly unit, which turns it into a very capable streamer. It's quite a bit more pricey than either the $350 Q5 or the $399 xDSD, but if you can afford it, it easily beats both on sound quality, and perhaps on design, too. If you do most of your listening via laptop, and want a very simple solution to boost your sound quality, then the $200 AudioQuest DragonFly Red is the one to go for. This combination headphone amp/DAC is a simple USB dongle, with zero controls. You plug it in, connect your headphones to it, and listen. That's it. It does not have the functionality or the versatility of any of the DACs mentioned above, but its simplicity and fantastic sound quality more than make up for it. If we had to pick another iFi DAC for comparison, we'd go for the old nano iDSD – preferably the Black Label version, which has a terrific black-and-orange color scheme. It's significantly cheaper than the xDSD, at $200, and its IEMatch technology is fantastic – you won't hear any hiss, even with sensitive in-ear headphones. However, it doesn't have the overall sound quality of the xDSD, and despite the great color scheme, it looks dated. All in all, we'd say the xDSD is a significant improvement over the nano iDSD – the fact that IEMatch is gone isn't enough to torpedo the former. Convincing people to carry around a portable amplifier in addition to a phone is a bit like asking Usain Bolt to strap rockets to his feet. Yes, it will technically make him faster, but it’s also cumbersome and annoying, and will probably explode.